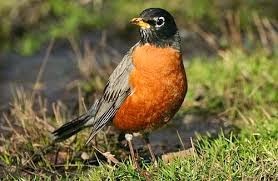 Round Robin Reading, the method where each student takes turns reading orally, has been proven an ineffective learning strategy. Students suffer embarrassment and boredom. Time is wasted. Students are not following along or listening. The students do not have an established purpose for reading other than to finish. There has to be a better alternative! 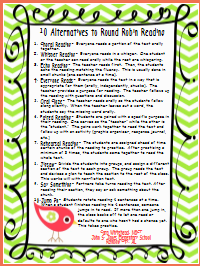 I have devised a list of ten of my favorite reading strategies that take the place of Round Robin Reading. These are Choral Reading, Whisper Reading, Echo Reading, Everyone Reads, Oral Cloze, Paired Reading, Reciprocal Reading, Jigsaw, Say Something, and Jump In. 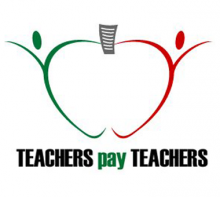 For further explanations of each strategy, please visit my Teacher's Notebook or TeachersPayTeachers stores. We Have a Winner of the VocabularySpellingCity Premium Membership Giveaway! 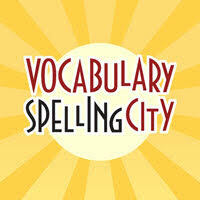 Congratulations, Lisa, for winning the Premium Membership to VocabularySpellingCity. An email has been sent to you on how to claim your prize. Thank you to everyone that entered! 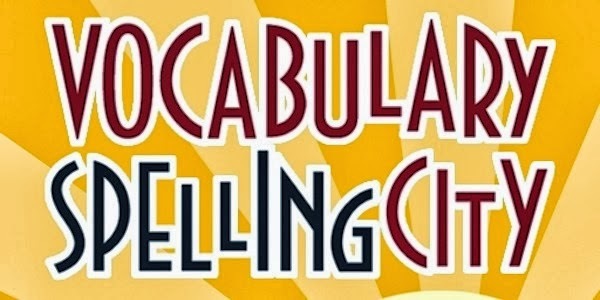 If you haven't had an opportunity to use VocabularySpellingCity or Science4Us, please take a little time to check them out. I know you won't be disappointed! 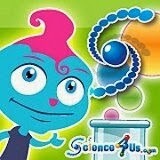 Science4Us is an interactive, standards-based science curriculum from the developers of VocabularySpellingCity. Built on the 5E Model of Learning (engage, explore, explain, extend/elaborate, evaluate), kindergarten through 2nd grade students are provided with the foundational skills needed to be successful in science. The online lessons are based on your state standards for science and integrate technology, engineering, math, literacy and the arts. There is even embedded content training to increase teacher comfort in teaching science. I am holding a giveaway of a Premium Membership to VocabularySpellingCity. You can enter in multiple ways. The more entries, the more chances you have to win.